When I was studying for pastoral ministry I was assigned a paper to write in which I was required to interview several pastors. I asked them a variety of questions about their time leading churches and shepherding God’s people. One of the questions was, “what is the hardest thing about being a pastor?” In different terms, each pastor answered that “bites from the sheep” was the most difficult thing they went through. Similar to an actual shepherd, a pastor lives to see his flock to safety and health. Sometimes, unfortunately, members of the flock will injure the shepherd as he tries to care for them. Being hired only this summer to oversee our student ministries here at Redeemer, I don’t want you to think that I’m going to write about how hard it is to be a pastor. It can be hard, but hardship is often what God uses to conform us more to the image of Jesus. It has been an absolute blessing and brought me more joy than I could’ve asked for. The pastors I interviewed for that paper said this as well. Our pastors, here at Redeemer, of whom I had the privilege of training under for over two years as an intern, LOVE this church. They have been my encouragement for loving people, finding joy in the hardships, and trusting that this body of believers belongs to Jesus-not any of us. In each staff meeting I was able to be a part of during that time, I got to see first hand how seriously they understood their positions to be and how sold out each one of them is to Jesus’ mission in our community. This has given me a great love and respect for them and why I’m eager to write a blog encouraging you to care for them well! For as bad as “bites from the sheep” can hurt a pastor, love from the sheep goes just as far. It is no little thing to a pastor when you encourage him, pray for him, support him and are, generally speaking, working to keep him uplifted. One of the ways God has been faithful to his Church, which is our focus in this month’s blog series, is to instruct them in caring for their leaders. 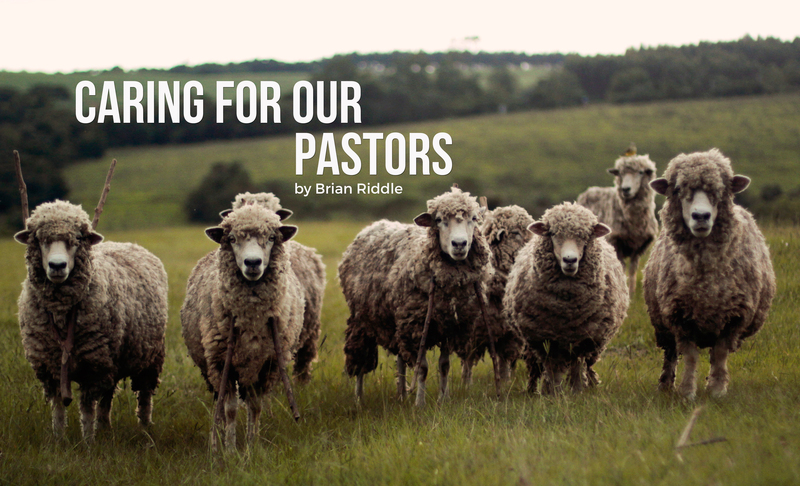 God knows that the pastors he calls to shepherd his people are people themselves. Which means that they need the same kind of support that everyone else benefits from. Notice the way the author of Hebrews instructs his audience, “Obey your leaders and submit to them, for they are keeping watch over your souls, as those who will have to give an account. Let them do this with joy and not with groaning, for that would be of no advantage to you.”1 This “obey” and “submit” talk is not what we like to hear, is it? Nevertheless, if we can humble ourselves to accept those commands and move to the second part of the verse, you’ll see that your interaction with your leaders is in direct correlation with their joy! The temptation is to become a Sunday morning consumer. Giving in to this temptation causes you to demand that you be entertained, have your ears tickled, be served by your pastors. It causes you to criticize all the little things you wish the church would do differently. I’ve fallen into this temptation myself. I’ve been caught thinking to myself all the ways I could do something better than a particular leader or pastor. There have been seasons that I never once considered the feelings or wellbeing of those who God has called to care for my soul. I’ve become bored with a life of self-absorption, though. The world does that. That’s easy. Jesus has set us free to live, not for ourselves, but at the expense of ourselves. With that in mind, I pray that you find yourselves inspired to love your pastors. Whether you attend Redeemer or another church, pray for them and with them, tell them how God is working through them in your life, care for their families, write them letters when you’re working through something they said in their sermons. God ministers to me through his word constantly, and I’m so thankful for that. Some of my most treasured moments, however, are the times God ministers to me through people. When a student texts me to express how much the Wednesday night message affected them or a student leader tells me how God is working in their small group I’m filled with joy and gratitude. In those moments I’m fueled to “lead with joy and not with groaning”. When a church as a whole begins to behave this way, when pastors lovingly lead their people to Christ week in and out and are met with tenderness and care from their people, we are in line with the New Testament. We are called to live as living sacrifices in the world, to be poured out, to die to ourselves. Because of this intense calling on our lives as Christians, we must care for each other. God has been faithful to his Church by creating us to be in communion with one another, teaching us to care for one another, and showing us the height of this kind of living in the message of Jesus at the cross. I’m refreshed by many of you every week in this manner! My prayer for us at Redeemer Church is that we relentlessly portray that gospel message in the way we care.